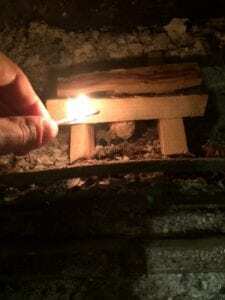 Light the perfect fire in 10 simple steps. 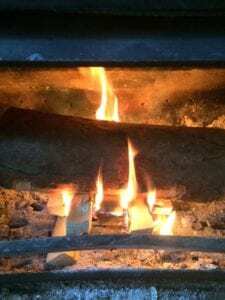 Follow this guide to light a fire with ease in your wood burning stove (ideally using kiln dried firewood!). Lots of people buy a wood burning stove without realising that there’s a knack to lighting a fire with firewood or coal. 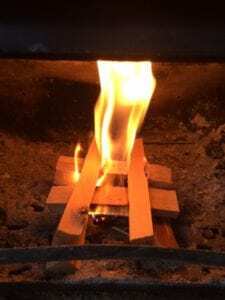 So after years of combined experience ‘firing up’ stoves, we thought we’d share the secret to lighting the perfect fire. □ Matches or a lighter (ideally an extended cooker lighter). 1) Open up your stove to allow maximum air intake and max output through the flu. (Check your stove manufacturer instructions to understand the controls fully). 2) Sweep any accumulated ash away from the bottom grate (enabling plenty of ventilation). 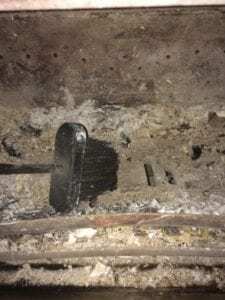 3) Place a Firelighter centrally within the stove. 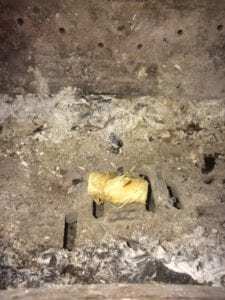 4) Place kindling either side of the Firelighter. 5) Stack two more bits across the top (leaving a gap in the middle). 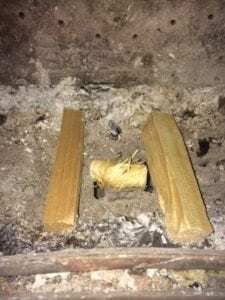 6) Light the Firelighter underneath (with stove door open). 7) Allow for the fire to draw and take hold. 8) Place a log over the top (being careful not to burn yourself!). 9) Leave for a few minutes with the door slightly open. 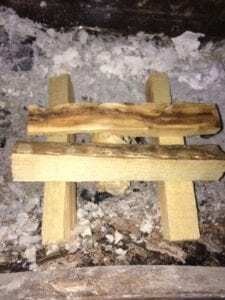 10) Close and enjoy your perfect fire! Remember, after 10 minutes limit the oxygen intake to achieve a slow burn). Remember, only burn wood with a low moisture content as this will help maximise heat output from your stove. At FirewoodFund we’ve got a wide range of kiln dried logs available to buy in bulk. We offer a national delivery service so order today and get your logs delivered to your home address.